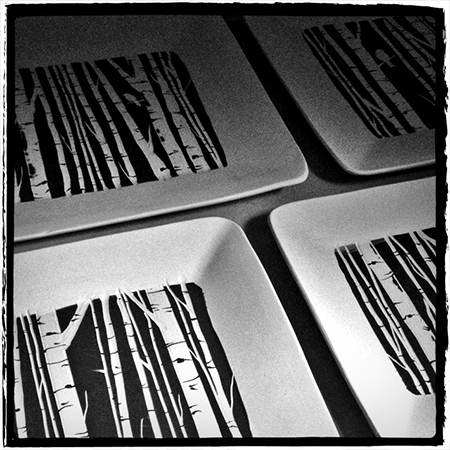 A new plate design in the works using a section of the silk screened slip I printed a few weeks ago. 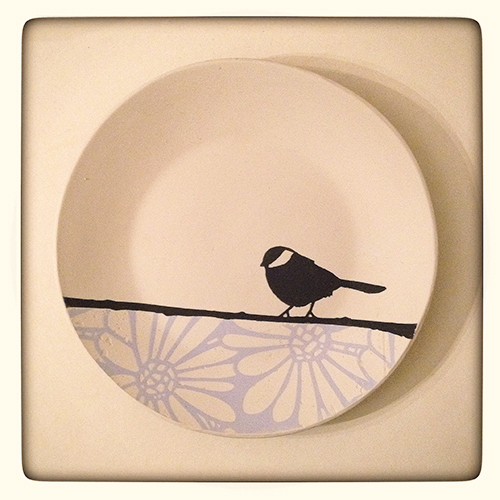 Experimenting with color on a sgraffito carved plate. 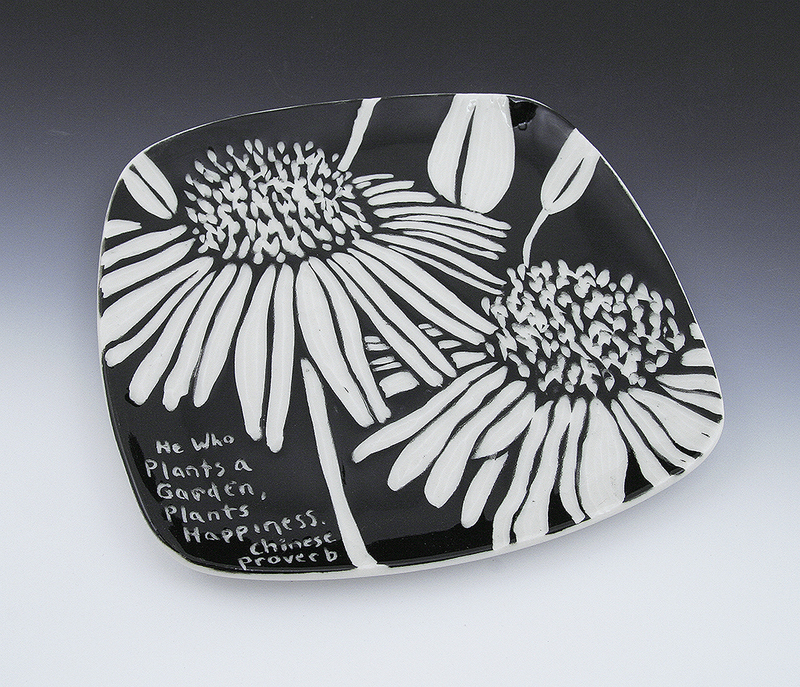 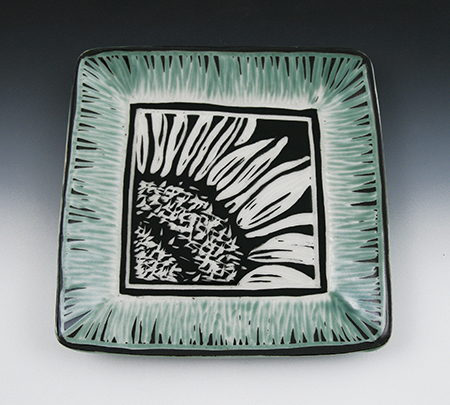 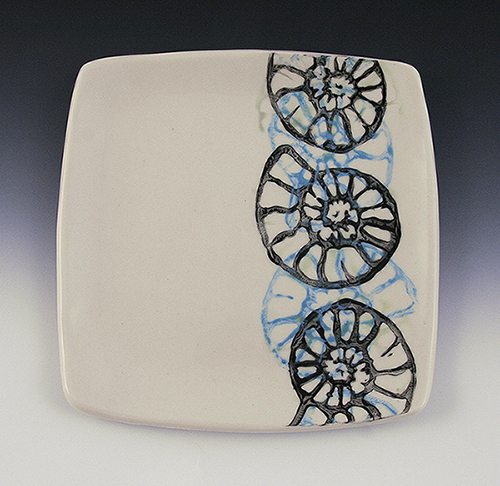 I based the carved sgraffito design of this hand-built porcelain plate on an oil painting I did many years ago. 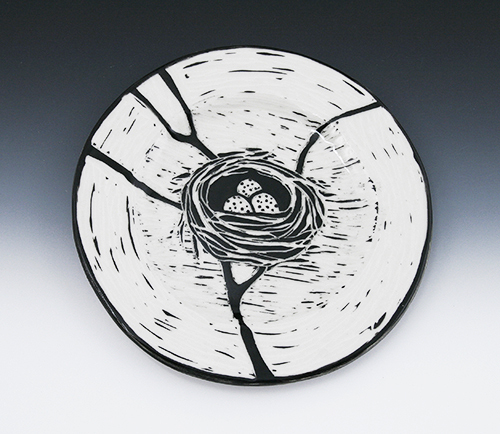 A new Sgraffito bird’s nest plate.